>Sustains Energy – packed with 21g of plant-based proteins including peas, artichokes, algae and organic superfoods, all hand-selected as part of our Select Source™ process. Life is busy. You’re constantly on the go with work, family, exercise - the list never ends! And the busier you become, the harder it is to get the right nutrition. The typical fast and easy food choices end up being unhealthy, which can wear you down. 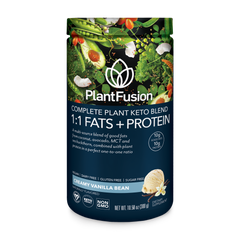 PlantFusion™ Complete Protein Ready-to-Drink is one simple thing that you can do each day to turn that around and take control of your diet. 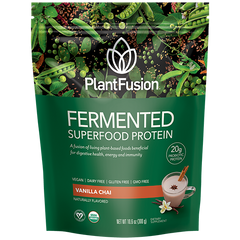 It’s a high protein nutrient-dense shake that is made from unique 100% plant-based ingredients like yellow peas grown from the northern hills of France, and sprouted superfoods and artichokes cultivated right here in North America. Meanwhile, Complete Protein Ready-to-Drink tastes like a milkshake because of the unique Flavor Pure™ blend of natural flavors and sweeteners that you won’t find in any other shake. All of these small choices add up to a huge difference in both how this drink tastes and how it makes you feel. For more detail, please read about our Select Source and Flavor Pure processes below.